To raise a pet is to take responsibility of his life, from the day you decide to take the animal in till the day the laws of nature decide to separate you. Probably less demanding than raising a kid, but raising a pet is just as important. You don’t just give an animal shelter and let them grow on their own. It goes without saying that adopting an animal includes making sure they’re safe and sound and as healthy as they can ever be, because no matter how much we dread it, they too get sick. But the challenge in here is the fact that animals cannot relay to you whatever it may be they are feeling in spoken words. Unlike a child who can say they’re in pain, an owner has to rely on the animal’s behaviors and body language and understanding them to know what’s wrong. This is also the reason why it is very important that those who own a pet know the different canine diseases and their symptoms, especially the very rare yet deadly ones. Here are seven rare dog diseases every pet owners should know about. It is an infectious bacterial disease that is often associated with humans. It is considered one of the primary causes of death. In 2016 alone, there were more then 10 million reported cases of TB, a million of such resulted in death. But it’s not just humans this disease is putting at risk, your beloved canine too can contract TB. Certainly one of the rare dog diseases, tuberculosis in pets is often transmitted by infected humans. Symptoms include weight loss, fever, harsh coughing, vomiting, and anorexia. If you start to notice these symptoms in your pet, pay the vet an immediate visit. TB is highly contagious, so it is highly recommended that you consult your vet as soon as possible. As to the treatment, unfortunately, it is limited to euthanizing your pet. Cases of TB being transmitted by pets to humans are extremely rare, but due to the contagious nature of the disease and for public health concerns, euthanasia is where this case often ends up. “Mad itch” or pseudorabies is more common in swines more than in canines, but it can strike and be fatal for your furry friend. Also called Aujesky’s disease, pseudorabies is observed in dogs that have come in contact with swine. Symptoms include excessive itching, fever, hyperesthesia or physical sensitivity of the skin, and seizures. Just like tuberculosis, unfortunately, there’s currently no treatment for pseudorabies. More commonly seen in Nordic breeds and miniature poodles, Alopecia X is characterized by non-inflammatory hair loss and pattern baldness in dogs. What causes this condition remains unknown. The time you notice that your pet is somehow balding, it is highly advised that you talk to the veterinarian first so they can rule out other conditions that are quite similar to Alopecia X. 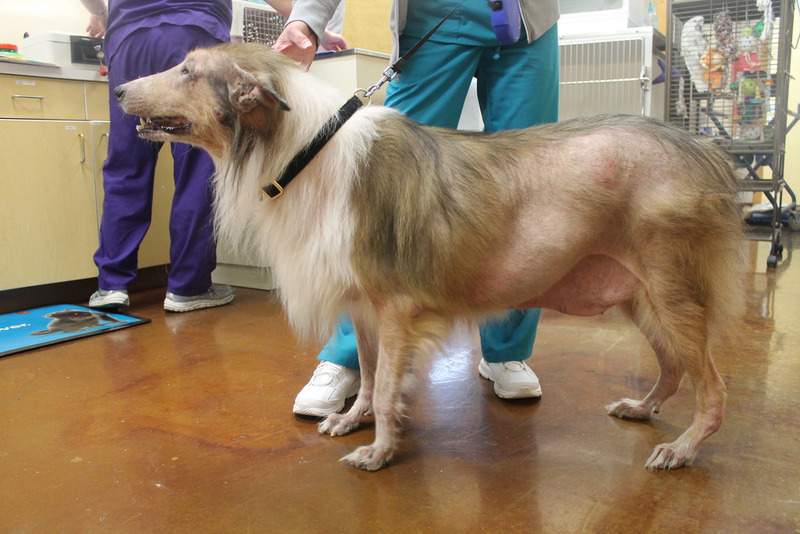 Unlike the first rare dog diseases, Alopecia X, fortunately, can be treated. But since there is no known underlying cause for this, doctors often adopt the trial-and-error approach when treating this skin condition. Therapies are often done to help the dog retrieve its coat. 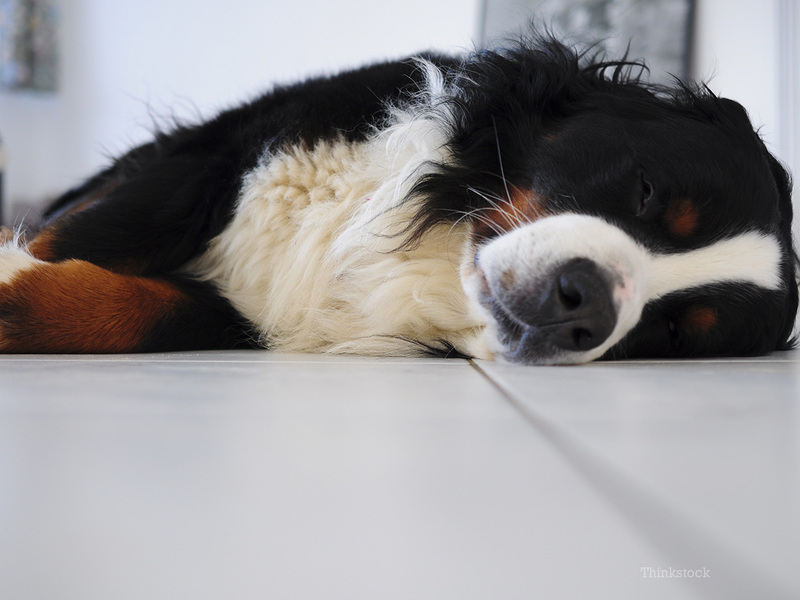 Characterized by extreme weakness, myasthenia gravis in dogs is a condition that is either acquired or inherited. When the dog’s nervous and musculoskeletal system fail to communicate and transmit signals properly, your pet may start exhibiting symptoms like a change in the voice, inability to close the eyes, breathing difficulties, excessive drooling, and megaesophagus or the dilation of the esophagus. Myasthenia gravis is treatable, and it is the veterinarian’s task to identify the dog’s needs and base the treatment on that. The most common medication is anticholinesterase drug, the type of drug that helps improve muscle strength. In some cases, canines are made to stay in the hospital until their medication dose is stabilized. Lupoid onychodystrophy is mainly characterized by paw- and claw-related issues, so if you notice your pet has been licking his paws until it becomes red, it’s time you pay your vet a visit. Other symptoms include abnormal growth of nails or they start to fall out, swelling of the nailfold, and pain. Lupoid onychodystrophy is an immune-mediated condition and is not contagious. Treatment methods for this illness vary. Abundance of vitamin E and some healthy fatty acids are proven to be helpful, so a change in diet is often the go-to solution. The length of the treatment, however, can be a challenge, as it can take several months or even lifelong. This is because the condition might recur if the treatment were to be stopped, so as a pet owner, you need to be very mindful of your dog’s diet and perhaps be a little more patient. The moment we open our doors to an animal, they become a part of our daily routine and our life. And with that comes the task to take care of them no matter where life takes you both. To be aware of and understanding these rare dog diseases is part of that task. Always be mindful of their behaviors and call your vet once you notice something is off. Don’t let an illness rob you of the chance to spend happier days with your best friend.